A big cold thirst needs a big cold spritz, and the best cold spritz is Aperol. At least is used to be. 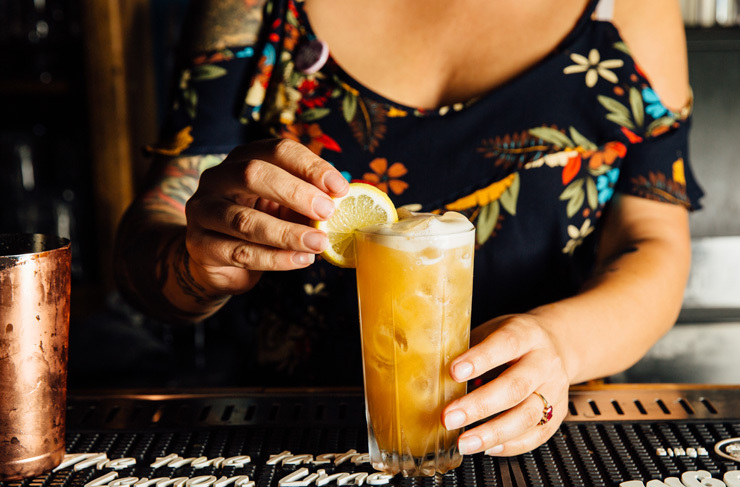 Melbourne’s bar scene is evolving faster than some Pokémon, and the days of Berocca-orange spritzes might be over soon. 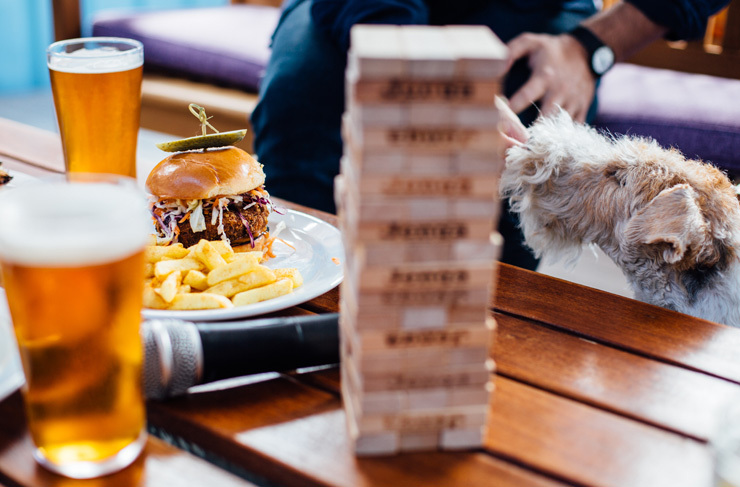 There’s been a dozen new openings at least in the last few months: cosy little brew bars, fairy-light gin gardens and dog-friendly digs galore. We’ve picked out a few of our recent faves. 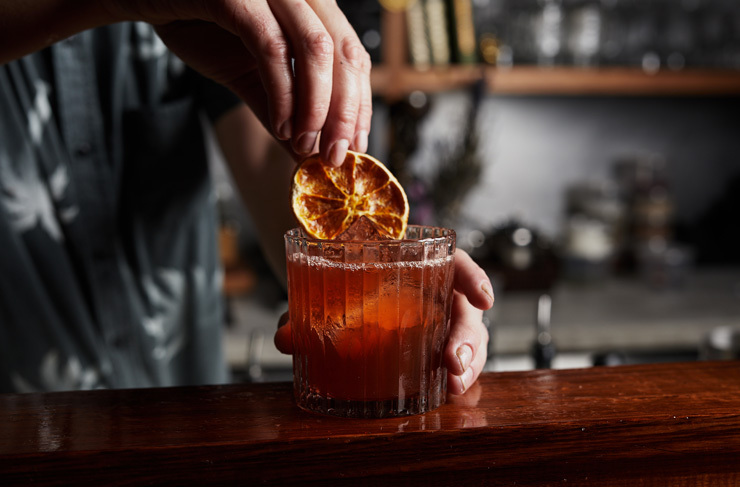 Here’s 5 new Melbourne bars to check out this month. This place ticks so many boxes. Vegan-friendly (tick), dogs (tick), outdoor courtyard with fairy lights and a piano-key ‘Lover’s Lane’ (tick), karaoke till the wee hours (double tick). If you’ve driven down Lygon St after dark recently, chances are good you’ve spotted Benjys. It’s a super cute dog-friendly karaoke lounge, decked out in candy stripes, sequins, and anything else from Priscilla. The licence runs till 10am right now, but owner Tim Firth is about to extend it to 1:30am. Boogie on down. You’ve probably seen pics of Mjolner flooding your feed recently. 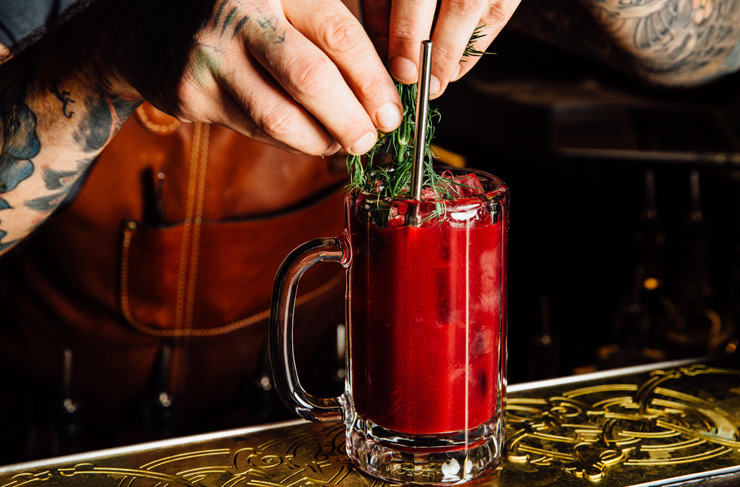 It’s the city’s swanky new Viking restaurant—bearded bartenders, drinking horns, the works. We dunno what Valhalla looks like, but fingers crossed it’s something like this. Anyway, what you may not know is that Mjolner has a cracking Viking speakeasy on the lower level, beneath the restaurant. We’re talking whisky literally poured from the hammer of Thor, forged in the fires of Svartalfheim. Giant horns of craft beer. Skål shots of aquavit and apricot. It’s pretty nuts. If you’re a sucker for hidden, Prohibition-style speakeasies, we’ve got a good one. It’s called Promise. As is the way with these things, you enter through a secret entrance inside an innocuous little cafe on High St. Inside you’ll find dark timber, skeletal artwork from The Darkness Lives, and some seriously potent cocktails. In fact, there’s not even a cocktail menu here: just sit up at the bar and let barman Tim McCurdy pick your poison. ‘Play It Safe’, ‘Something Sweet’, or ‘Anything Goes’. The whole thing’s bespoke. There’s nothing subtle about this particular shady lady. It’s an outrageously mega-kitsch, shabby-chic booze temple, created by three ladies: MandyJo Reinier, Rosie and Georgina Maughan. 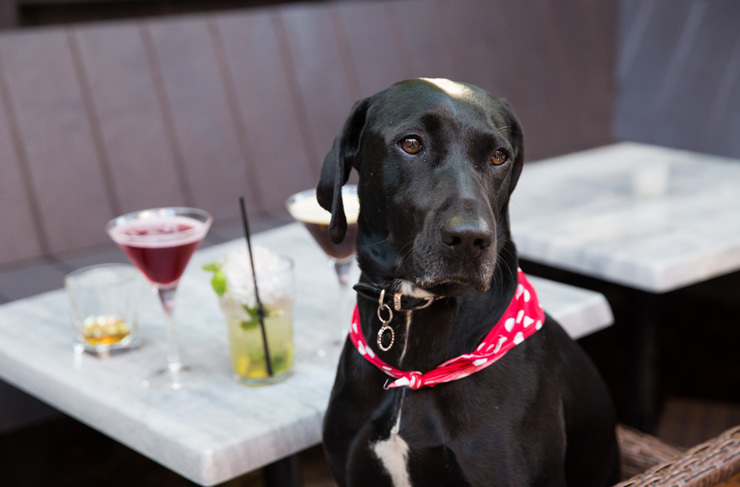 It’s is vegan-friendly, puppy-friendly (see!) and it serves up blend-to-order mojitos. Keep an eye out for the Furphy and picklebacks for $13. That’s a glass of Furphy, a shot of whisky, all chased down with pickle brine. Tastes a bit like kissing a mermaid. If you’re after something less nuclear, The Shady Lady also has a top-notch range of tinnies (nice to see Tecate and Balter on there), plus a generic list of plonk (your basic reds, whites and bubbles—wine isn’t the focus here). They’ve achieved the impossible here: something NEW in Fitzroy. Need to freshen up that brunch list? Here's 5 new Melbourne cafes to check out this month.